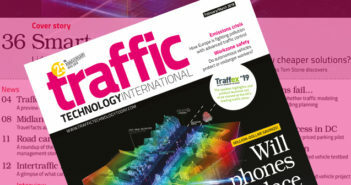 The US Department of Transportation (USDOT) has published a new report highlighting the relationship between motorcycles and intelligent transportation systems (ITS), and suggesting areas of research that could help better integrate motorbikes with new highway technologies. 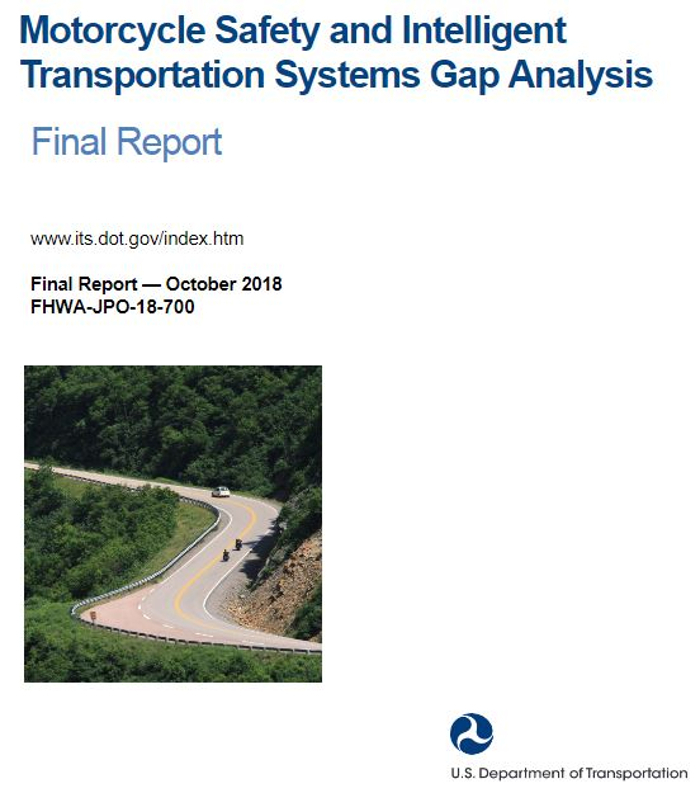 The USDOT report, Motorcycle Safety and Intelligent Transportation Systems Gap Analysis, explores the potential of improving motorcycle safety through new transportation technologies. The report notes that current ITS include a broad range of concepts, systems and applications that apply advanced computation, information technology, and communications to vehicles and roadway infrastructure in order to improve traffic safety, mobility and reliability, some of which present an array of promising ways to improve motorcycle safety. While ITS technologies have predominantly targeted automobiles and commercial vehicles, little has been done to specifically address motorcycles or motorcyclist safety. 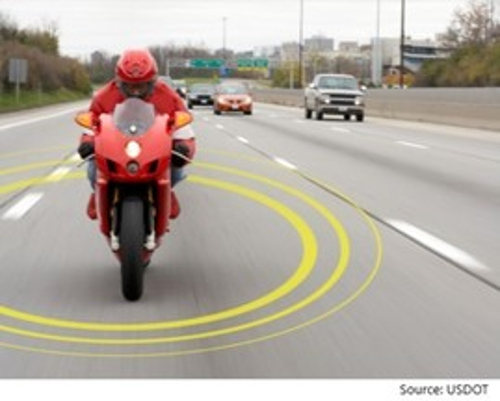 To help rectify this, this project surveyed a wide range of ITS technologies with potential relevance to motorcycles; analyzed each technology’s current relevance to motorcycles and potential to improve motorcycle safety; and then further investigated those technologies with strong potential to improve motorcycle safety. Interviews with leading practitioners representing a cross section of the motorcycle industry and community. The literature review analyzed over 2,400 journal articles, news items, and other documents on ITS to determine their relevance to motorcycle safety. Although over 40 categories of ITS technologies were initially defined, the search results predominately fell into 17 categories, of which, seven stood out as particularly relevant to motorcycle safety improvements. 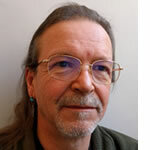 The practitioner interviews with leading practitioners from an international cross section of manufacturers, researchers, public agencies and industry associations provided a diversity of perspectives and a more nuanced understanding of the current state-of-the-practice. Each research method revealed a series of trends and gaps in the current state of research on motorcycle safety and ITS, which are documented and discussed in the report. The project then synthesized these trends and gaps to determine the overall trends and gaps, as well as the opportunities to advance ITS technology for motorcycle safety. 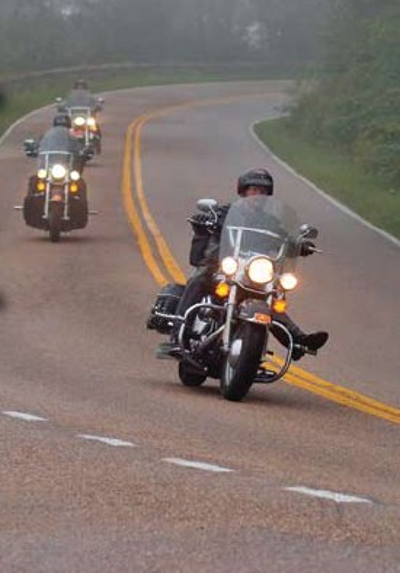 These opportunities were translated into recommended areas of research and recommended strategies to advance both these areas of research and the overall field of ITS as it relates to motorcycle safety. Harmonization of ITS technologies and standards, such as interoperable connected vehicles. Collaborating with all sectors and stakeholders to promote ITS harmonization and widespread implementation.